October 2, 2018 — For many students starting university, a question lurks in the back of their minds: how will they conquer this new challenge? For Kirti Saxena (MechE Year 1), thriving under pressure is just part of hertraining. 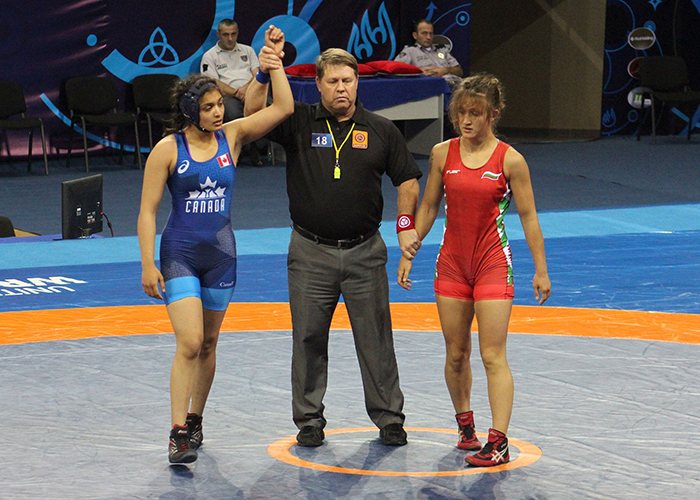 Saxena is a seasoned wrestler who has represented Team Canada at several world championships. Now, she’s ready to apply the work ethic, determination and perseverance she’s developed over years of practice and training to her next challenge: first year in U of T Engineering. Saxena sat down with U of T Engineering News to share her plans for the year ahead — both in and out of the gym — and her approach to managing the demands of both training and school. This story originally appeared on U of T Engineering News. The interview has been edited and condensed for length.